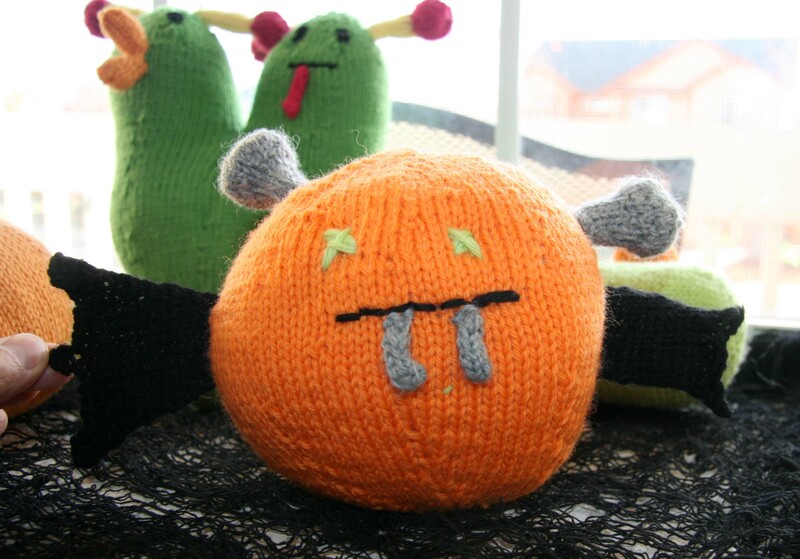 Davey and I just finished our Halloween knitting project. It took us several weeks but was a lot of fun. 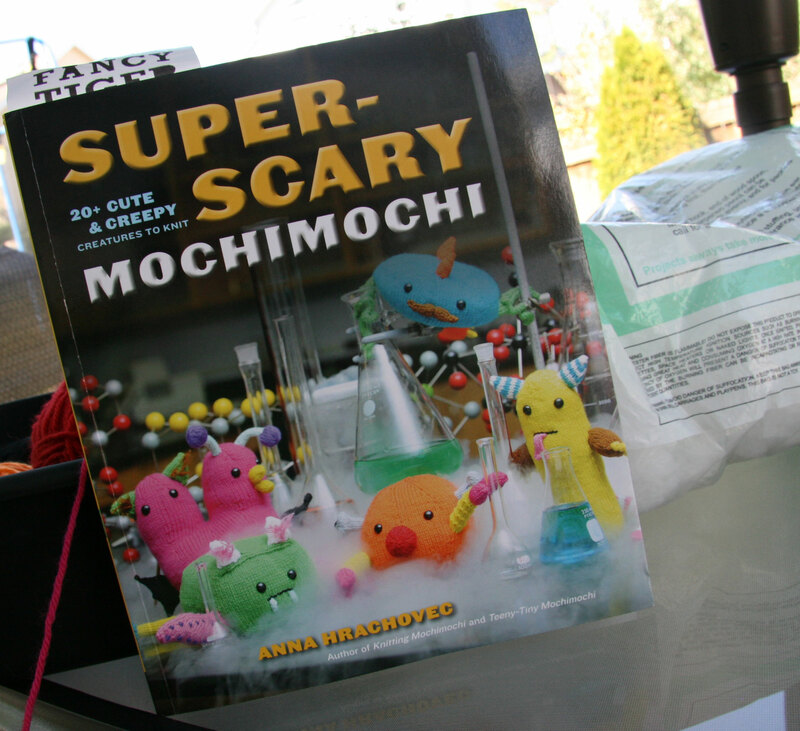 I was inspired by my recent purchase of Anna Hrachovec’s new book Super Scary Mochimochi. I love her books and patterns. 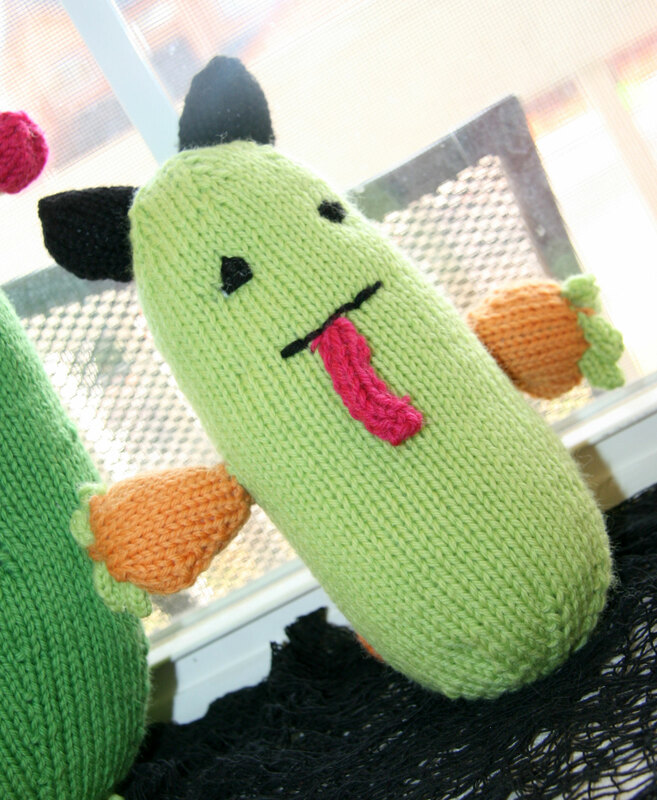 I’ve knitted several of her teeny tiny guys too. So when I saw that she had a new Halloween themed book coming out, I was thrilled. I looked through the book. The “Create your own Monster” patterns immediately caught my eye. 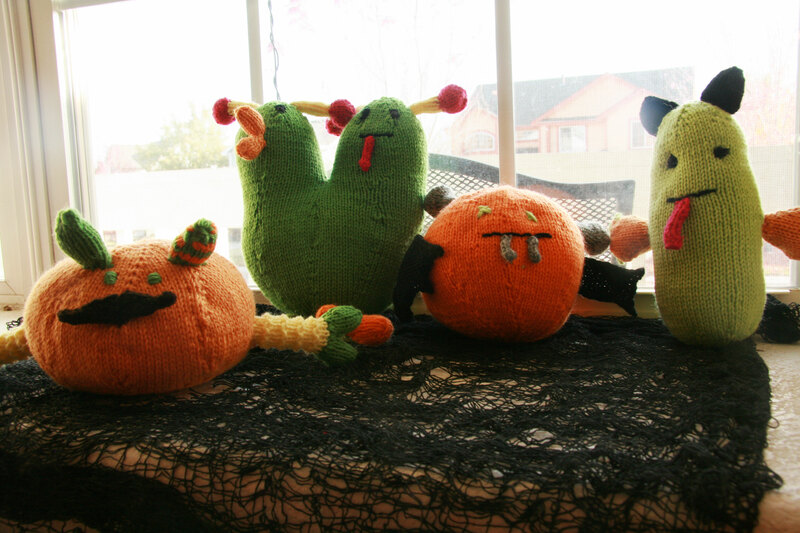 She included patterns for different monster bodies and various monster parts including ears, noses, feet, and tails. 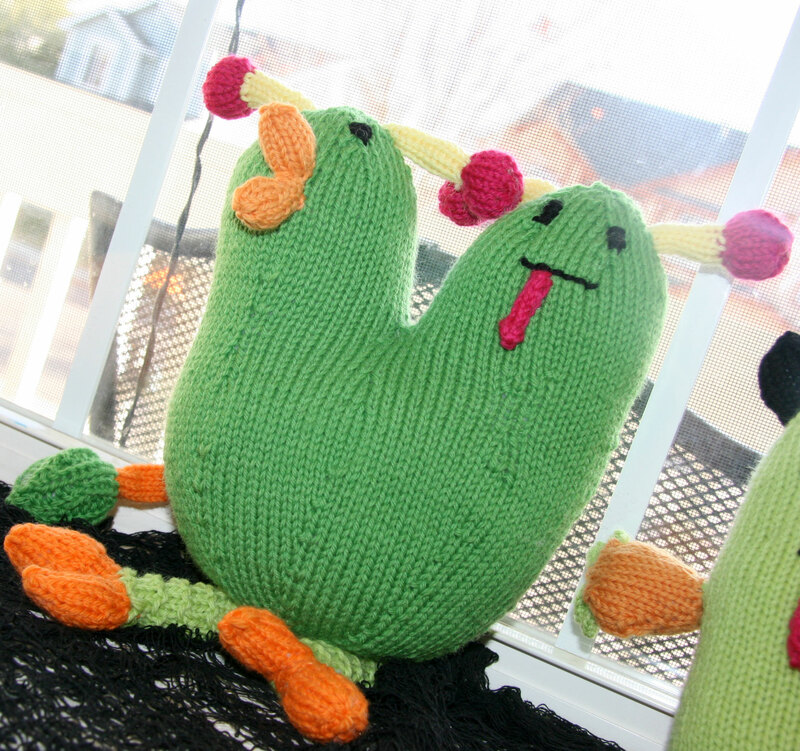 You knit the pieces you want and mix and match them to form your own monster. I decided that this would be very fun for Davey and me. 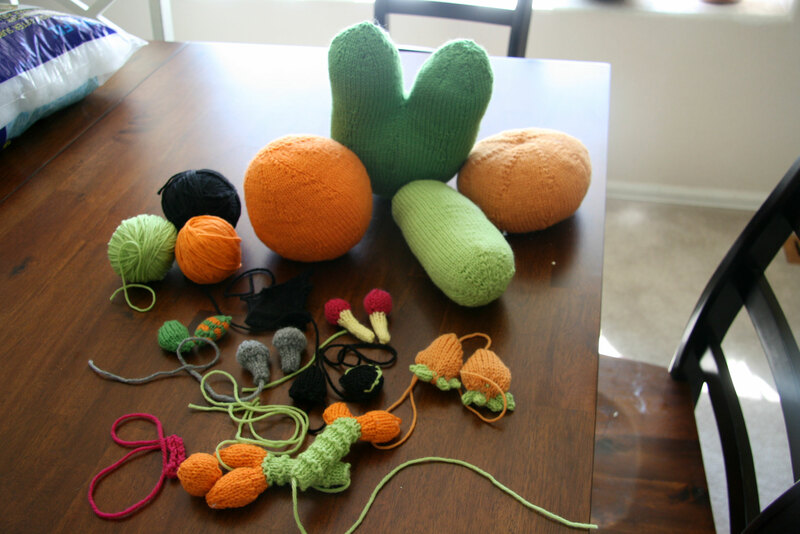 So I started knitting. I just made a bunch of random pieces in different colors. I used Cascade 220. 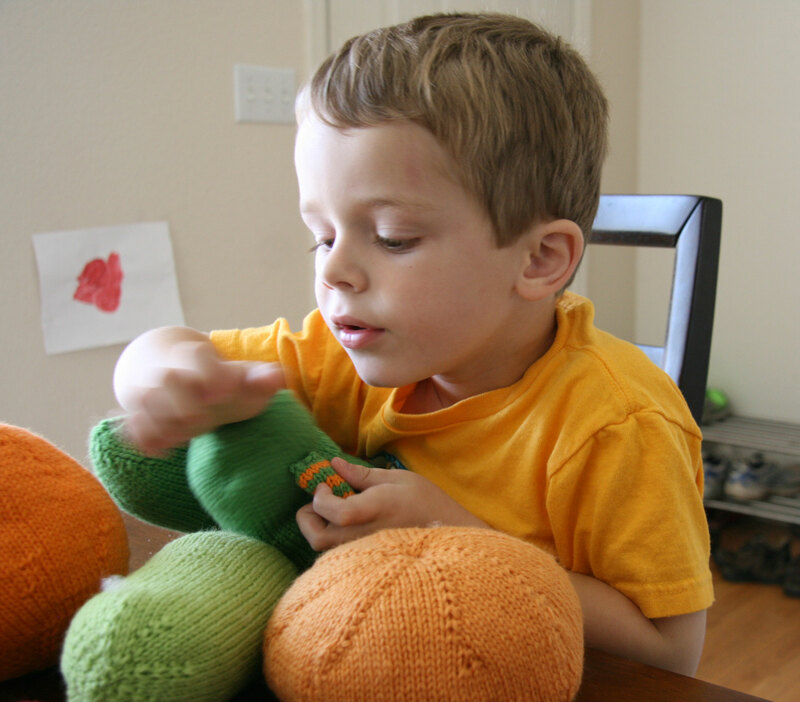 When I got it them almost all knitted up, I enlisted Davey to tell me how he wanted to put the pieces together. He was happy to help me. So we worked together and created four guys. Their names are still subject to change, but here’s what we have so far. Meet Cuke (his name is the one who needs the most work). Cuke has quite the tongue doesn’t he! Next up is Luigi. His moustache is a weeeee bit crooked. It may be that he is a little flustered because his ears do not match. Davey was for this ear arrangement at first, but then he wished that I’d have made them the same. Maybe Luigi wishes this too. But – monsters do not have to have matching ears. It’s a rule. Next up is Vampire Dude (again – name is still under consideration). Vampire Dude has batwings for arms. They are kinda hard to see. He has quite the fangs, and he has bolts for ears. He may be a little confused about his identity. You may have noticed Burt and Curt in the background of the above picture. Davey insisted that they have matching antennae. 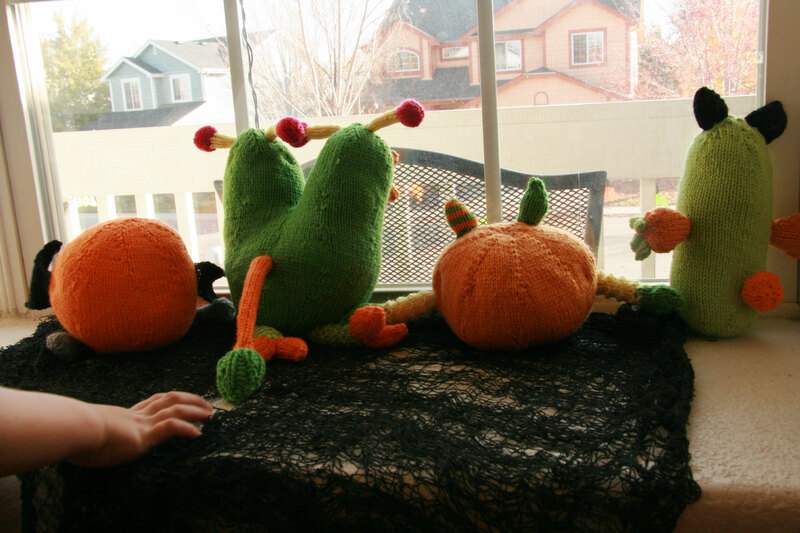 When I got home from school today, I noticed that Davey had arranged the guys so they could look out the window. I liked this too. He’s a thoughtful kid. I like seeing Davey’s little arm in the picture too.. 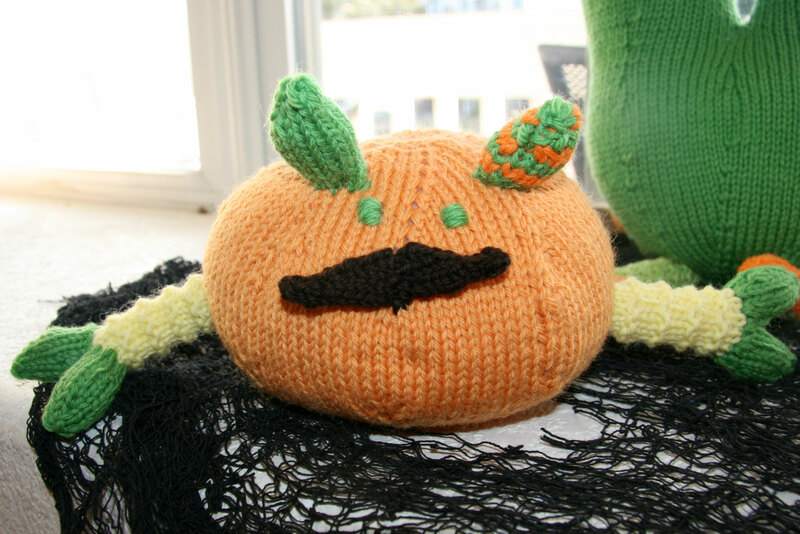 This entry was posted in Knitting and tagged Anna Hrachovec, Fancy Tiger, Super Scary Mochimochi by cpeezers. Bookmark the permalink. Super cute! I love that last picture of them looking out the window.